mwe3: Bob, can you tell us where youre from originally, and where you live now and what you like best about it? What cities and countries are among your favorites to visit and perform in and would you agree that the best part about being a musician getting to see so much of the world in a musical way? Bob Holz: I hail from Syracuse, New York. I presently live in Fayetteville, New York. I like the small city feel and theres a good music scene. I like playing in Washington D.C. They love jazz there and really support live music. Its great to meet new friends who appreciate what we do. Last year when we played in Los Angeles I met a lot of great musicians as well. Youre exactly correct in that traveling exposes one to many types of music scenes. mwe3: When did you start playing drums and how long have you been a performing musician? I know you attended Berklee. What other instruments do you play and did you study harmony and music theory as it relates to other instruments, like keyboards? It must have been amazing studying with Billy Cobham! Bob Holz: I started at ten years old. Ive been playing professional gigs for 47 years. Beyond drums, I also play guitar, bass, keyboards, clarinet and the vibraphone. Yes, I have studied jazz harmony and composition. Billy Cobham was big on developing independence on the drums. He focused on four way coordination and ambidexterity. mwe3: I saw on the CD booklet that you endorse Canopus drums and Paiste cymbals. What makes those companies special sound-wise regarding your choice of drums and what other kits have you played in the past? 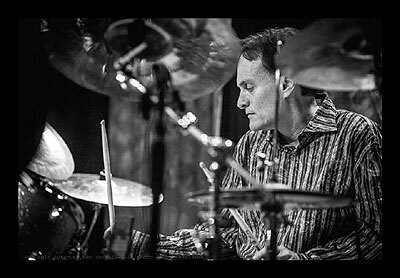 Bob Holz: I use Paiste Formula 602 Modern Essentials cymbals, which I think are versatile. They sound amazing in any style and environment. They are also durable. Canopus drums have excellent tonal qualities. I use a typical fusion configuration consisting of 10, 12, 14 and 16 toms a 14 wooden snare drum and a 22  bass drum. On my new album, the sound engineer, Dennis Moody was looking for a unique drum sound, which could become my signature sound. If you listen to the end of the tune Espresso Addiction you will hear what I mean. He achieved a very natural and organic drum sound thanks to Canopus and the way we tuned those drums. Dennis really got the sound I wanted. 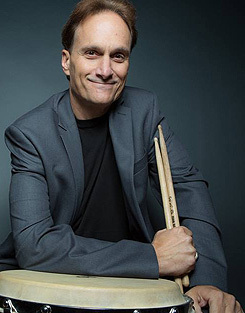 Hes well known for that as hes recorded many great drummers like Steve Gadd and Dave Weckl. As for past equipment, I played Yamaha Recording Custom drums and Istanbul cymbals for many years. Both great companies. But change is good and I think Ive zeroed in on my own personal sound with Canopus and Paiste. mwe3: Your new album is called Visions: Coast To Coast Connection. What does the album title signify? Is it the New York to L.A. connection youre talking about and how would you compare the energy between NYC and L.A.? Have you thought about those differences? 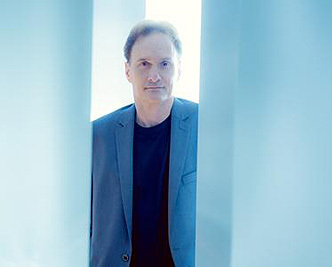 Bob Holz: The new album title signifies the trilogy of my last three releases which all reference the concept of forward thinking as it applies to my vision of the world. I recorded the material in Los Angeles and finished the project in the Florida Keys. Hence the Coast to Coast add-on. I think New York and Los Angeles both have their own unique sound or vibe if you will when it comes to making records. My new album definitely displays that on tunes like West Coast Blues and Light And Dark. The sound is laced with that famous California sound. To me New York jazz is about experimenting and stretching out, whereas the West Coast approach does that too but packages it into a more universally popular end product. mwe3: The vocal track on the new album, Espresso Addiction, is dedicated to Larry Coryell, who passed away just over a year ago. What are the some of the lyrics in that song speaking of and how did you meet Larry and what year? I remember his late 1970's albums and also when he worked with Phillip Catherine too. How many albums did you make with Larry and what was he like in a concert setting? Bob Holz: I wrote the lyrics to "Espresso Addiction" quickly and with ease. The words just came to me easily. It is a tune in which not only the lyrics pay tribute, but the chord voicing are similar one Larry had used on his composition Low Lee Tah. The title stems from Larry insisting that we stop for a double shot of espresso before we played Mac's Bad Art Bar in Syracuse. Like myself, Larry gave up alcohol many years ago. Larry was also very much into the blues. It was important to get that into the lyrics, there by creating a double meaning surrounding his passing away and his love for blues music. I met Larry in 2015 through a mutual friend we both had from my days at Berklee College of Music. I have released two albums with Larry on them. My next album most likely will feature live concert recordings I did with him as well. Theres some wonderful music that needs to be released. 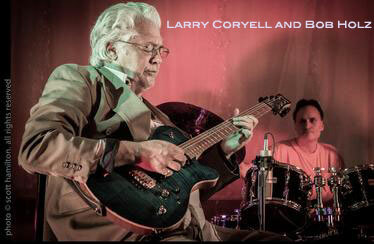 Playing live with Larry Coryell was exciting and demanding. But our styles meshed perfectly as is exemplified on the tune Scattered, off my album Visions and Friends. mwe3: When was the Visions album recorded and what was the studio set-up like? For example, were there lots of overdubbing or was most of it cut live? You worked with studio ace Dennis Moody on the making of Visions. What did Dennis bring to the sound and the overall vibe of the album? 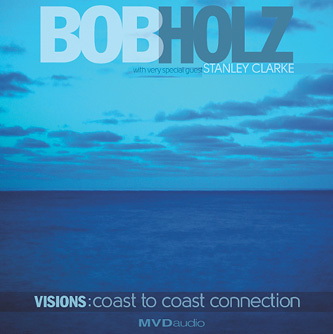 Bob Holz: Visions: Coast to Coast Connection was recorded in September 2017. The studio was Dennis Moody Studios. The set up centered around a live recording approach with minimal overdubs. There was very little editing done and we didnt use a click track. Its a natural process where the players are in the same room together and can feed off each others ideas and timing. 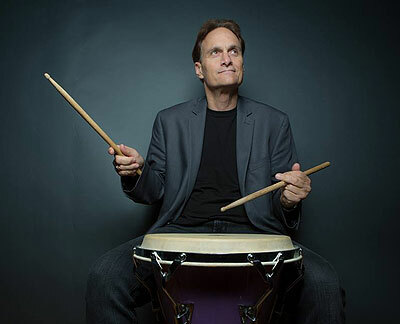 As mentioned before: Dennis is known for his work with drummers. Hes also a lot of fun to be around. The session was relaxed yet totally focused, efficient in use of time and designed to find the sound I was looking for. Dennis is a master at mixing as well. Additionally he was a drummer in the past. He brings that understanding of what good feel and timing is to the overall sound. mwe3: Tell us about working with the great Stanley Clark of Return To Forever fame. When did you first hear Stanleys music, when and where did you first meet him and what are some of his best albums in your estimation? What did Stanley most bring to the tracks he played on? Bob Holz: The first time was on Chick Coreas Light As A Feather in the early 1970s. I met Stanley when we recorded my new album. I love his School Days album with Tony Williams on drums. The solo Stanley plays on the tune Next In Line is eloquent, flowing and epic. Hes one of the all time greats. It was wonderful having him and our amazing bassist Ralphe Armstrong record together for the first despite the fact that they have been friends for many years. mwe3: How did you meet producer Rob Stathis and can you describe Robs approach in the studio and also the influence or sound he brought to the albums you made with Larry Coryell? Did Rob also work with Larry? Bob Holz: Rob and I have been friends since the late 1970s. We met through the bassist Mike Schoeffter who appeared on my Visions And Friends album. Rob comes out of the jazz-fusion world. He is interested in delivering the highest quality music and tends to stray from smooth jazz. Rob thinks big picture. Hes great a honing in on the bands strengths and bringing out our best performance. He also understands how to multitask effectively. One minute hes at the board and the next minute hes feeding the band Chinese food! Rob is a huge fan of Larry. They naturally became good friends working together. Like everyone else, we really miss Larry. mwe3: One of the highlights of Visions is the track Richies Trip. How did you hear of Richie Hayward drummer of Little Feat and what are your favorite Little Feat albums or tracks? That track sounds very orchestral, like progressive rock fusion. Bob Holz: For that tune I emulated Richie Hayward's beat to the Little Feat song Time Loves A Hero. I love that tune. Anything off their Waiting For Columbus is a favorite of mine. The drumming is very unique. I first head Little Feat in the late 1970s. mwe3: How did you meet your co-writer Frank Stepanek and whats the song writing process like between you and Frank and how do you decide on the arrangements and the sound of the track? For example, track 9 on Visions, Spanish Plains has a great flamenco groove. What can you say about that track? I see Frank worked on that track in NYC. Bob Holz: I met Frank when I played a gig with his solo act in the mid 1990s. We have become great friends and still play live and record together. His main gig is with the reggae band Black Uhuru. Hes been their guitarist for thirty years and tours worldwide with them. He has been nominated for three Grammy awards from the album Brutal. When we decide to record we typically lay down the bass and drums first and the build from that. Frank has a very good ear and is making world class recordings at his home studio in central New York. Frank wrote Spanish Plains to feature his trademark acoustic guitar sound. People all over the world are really liking the song. The tune exemplifies Franks trademark sound. mwe3: Besides Larry, you dedicate the Visions CD to Mignon Holz and Alphonse Mouzon too. What do they represent to you? Is Mignon family? Alphonse is a legend right of fusion. I know he passed away recently too... Were you friends with Alphonse? Bob Holz: 2017 was a year of loss. Last May I lost my mother, Mignon Holz, who was always a huge supporter of my music. The list of important musicians who passed away in 2017 staggering. Alphonse Mouzon was the drummer in Larry Coryell's Eleventh House. He is considered one of the greatest jazz-fusion drummers and was the original drummer in Weather Report. Alphonse passed away from a rare cancer on Christmas day of 2016. Before his death we became friends through my association with Larry. mwe3: Do you feel that fusion jazz sometimes veers into other realms like progressive rock-fusion? Im thinking of prog-rock drummers like Bill Bruford, founding drummer of YES who went solo with some very jazz based musicians like Alan Holdsworth. So, where does jazz end and jazz-rock begin? Bob Holz: Yes, Id agree with that statement. I love all the classic progressive rock. That music was a big influence on me. In my opinion jazz ends when you remove jazz phrasing, blues phrasing and typical jazz harmonic structures from the music. Theres a universal vocabulary and tradition surrounding jazz. Larry always said, Rock the jazz. When you combine rock sounds with jazz sounds you get a wonderful new sound. Bands like Mahavishnu Orchestra are perfect examples of this phenomenon. mwe3: Interesting that the Visions album came out on MVD. I hope MVD moves further into your music and fusion in general. How did that deal come about? MVD is very into DVD so I hope you will have a DVD with MVD at some point. Be great to have a Visions live DVD video. Bob Holz: I was introduced to MVD Audio by one of my publicists, Bruce Pilato of Pilato Entertainment. I am shooting a video at our concert in Detroit the June. That will be aired on Comcast via The Ralphe Armstrong Show. I also have extensive live footage from our show at Catalina Jazz club in Hollywood last May which may be used to issue a DVD in the future. mwe3: With Visions on CD from MVD I hope more people are going to hear your music. Who is playing in your touring band that you feature in concerts and what are your shows like live? Where do you plan on performing this year and are you planning on releasing other albums in the future or doing sessions or producing / writing with other artists? Bob Holz: The touring band is called Bob Holz and A Vision Forward. Its me on drums, Ralphe Armstrong on bass, Jamie Glaser on guitar and Billy Steinway on keyboards. Our shows are more than playing a lot of notes. We are entertainers so song selection, vocals and rapport with the audience is key. We want the crowd to have fun but still satisfy the most astute jazz listener. Its a fine line. But we achieve it naturally and is seems to just flow out of us. Our next show is June 22nd, 2018 at Bert's Entertainment Complex in Detroit, Michigan. Im in the Pre-planing stage for my next album due out in 2019. I cant say for sure whos going to be on it. But were working on getting some huge jazz stars to join us on the record.